SuperFoodz # 20- Cinnamon – Health Freaxs Unite! Cinnamon is such an amazing fragrance. Due to my cursed overly sensitive nose, I don’t really care for it by itself. However, cinnamon & vanilla or pumpkin spice are such beautifully composed scents that just add to the wonderful fragrances of the holiday kitchen. But not only is this spice amazingly fragrant, but it is also has quite a few health benefits behind it. Enough to make it today’s Super Food! Now there are many different types of cinnamon, but the two main ones are Ceylon or “True Cinnamon” and Cassia which is also called “Chinese Cinnamon”. True cinnamon is that delicious delicate flavor that you would find in holiday baked goods, while Chinese cinnamon in used in a lot of Asian medicines to cure things like diabetes. It comes from the bark of a type of evergreen tree and is dried and then rolled up into sticks. See? Tree bark isn’t half bad if you give it a shot! 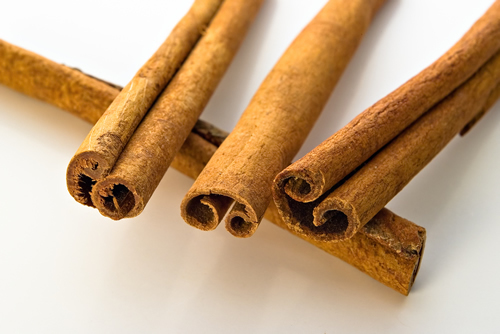 Cinnamon helps calm stomach acids which can be an excellent thing when it comes to an upset stomach or indigestion. It also has some mild anti-inflammatory properties to fight of cancers. Its fights against funguses and slows the spoiling of food. This is probably why ancient Egypt used it as a preservative along with salt. It was more precious than gyms or gold at one point and pharaohs and kings would receive the spice as gifts. So it was some pretty important stuff. I love using just a little bit as a flavor in foods. Using it instead of sugars is way better for you and gives that delicious flavor that we crave! One of my favorite cinnamon recipes is a pumpkin spice swirl bread I came up with. 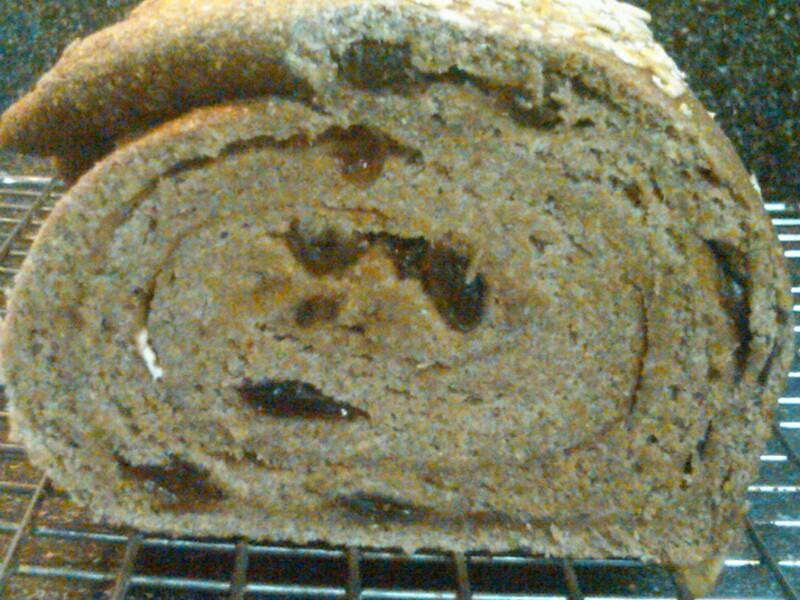 Whole wheat, Oatey, raisin filled, and flavored with the delicious taste of pumpkin spice. Who can guess the first ingredient in pumpkin spice? Anyone? Its….Cinnamon! Now I must warn you. 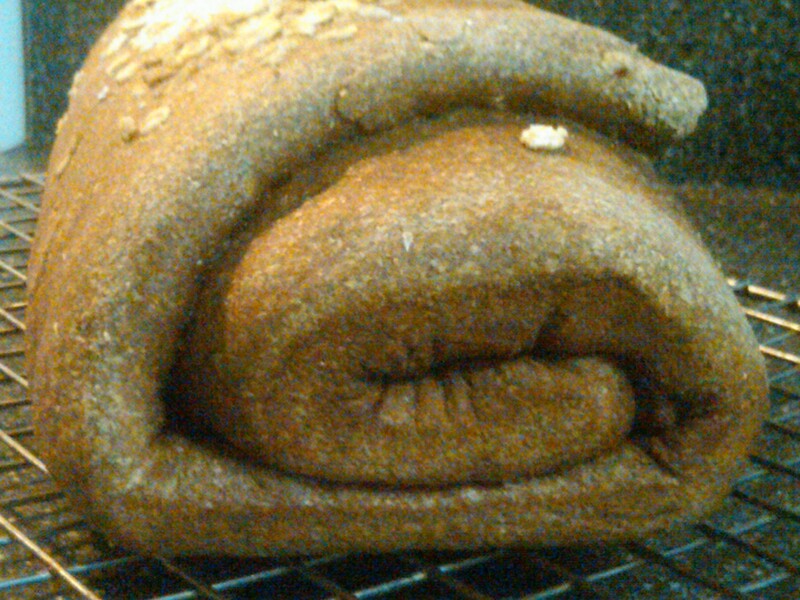 This bread will take a while to make. But I assure you, the results are very rewarding! -Grease a 9×15 pan with olive oil. -Dissolve 1 tbsp. sugar and the yeast into your water. Let it sit for 5 min. -In a large bowl, mix together 2 tbsp. pumpkin spice, 2 tbsp. sugar, and the flour. Add a bit of salt if you’d like. -Pour the yeast mixture into the bowl and add 1/2 c. cold water. Mix it with your hands, adding more water if necessary until all the flour is incorporated into a dry dough. Knead for 2 minutes and then let the dough rest for 5 min. -Knead the dough for about 6 minutes or until it is nice and elastic. Then turn on your oven to 200 degrees. Once the oven is preheated turn it off. -Oil a bowl with olive oil and set the dough ball in it. Put it into the oven to rise for an hour. The oven should be warm, but not hot. -Put the raisins in a sauce pan and barely cover them with water. Simmer them for 10 minutes so that they get nice and plump. Then drain and dry them. 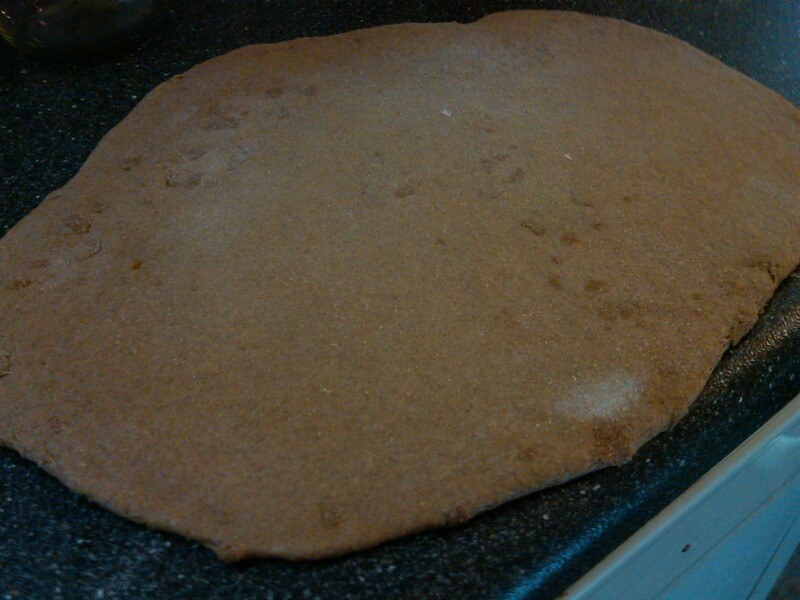 -After an hour, take the dough out and roll it into a 15×12 rectangle. 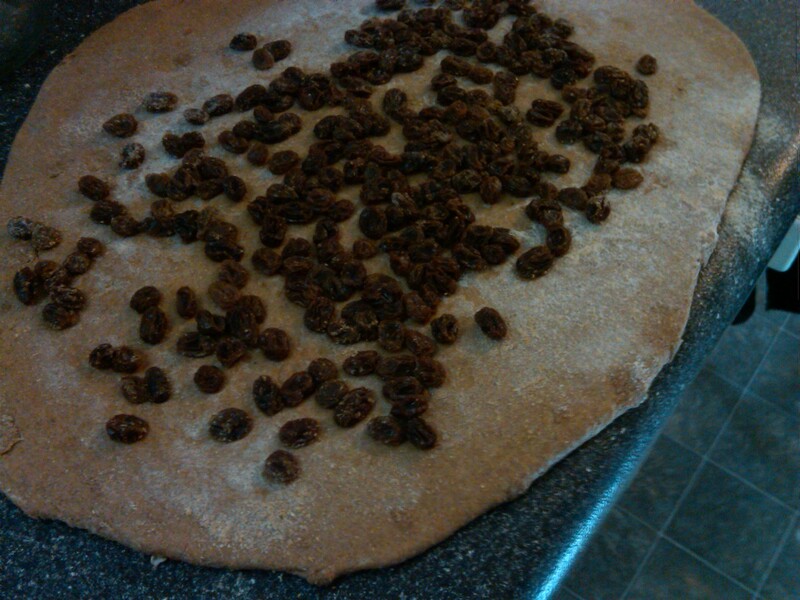 -Pour the raisins into the dough and spread them out evenly. then press it down with your hands. Put a bit of flour over them if they don’t stick. 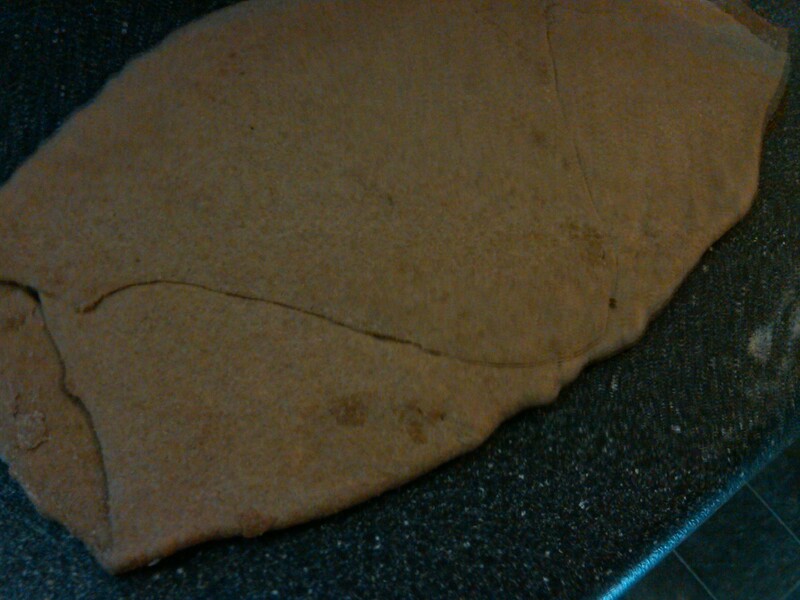 -Take the bottom two corners of the dough and over lap it 2/3 of the way up the dough. 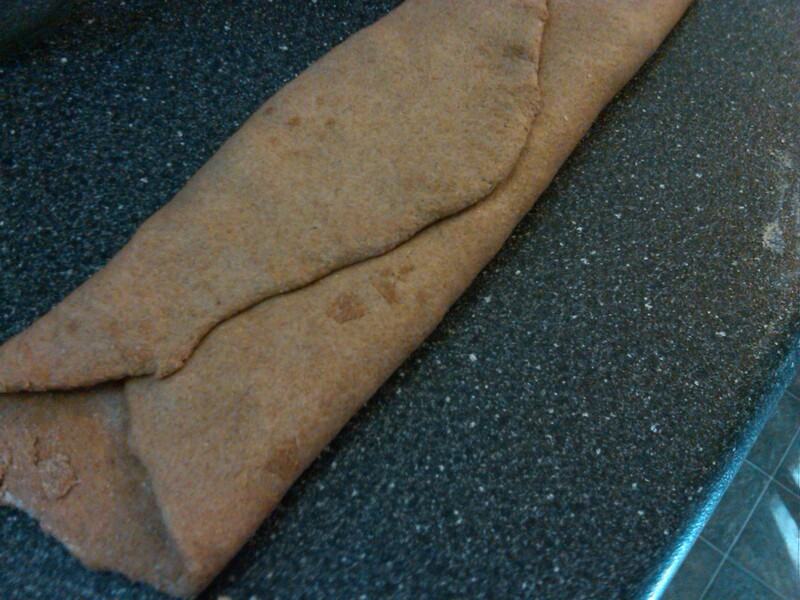 Then fold the top over the bottom and roll it back out. -Sprinkle the remaining pumpkin spice, sugar, and all but 2 tbsp. 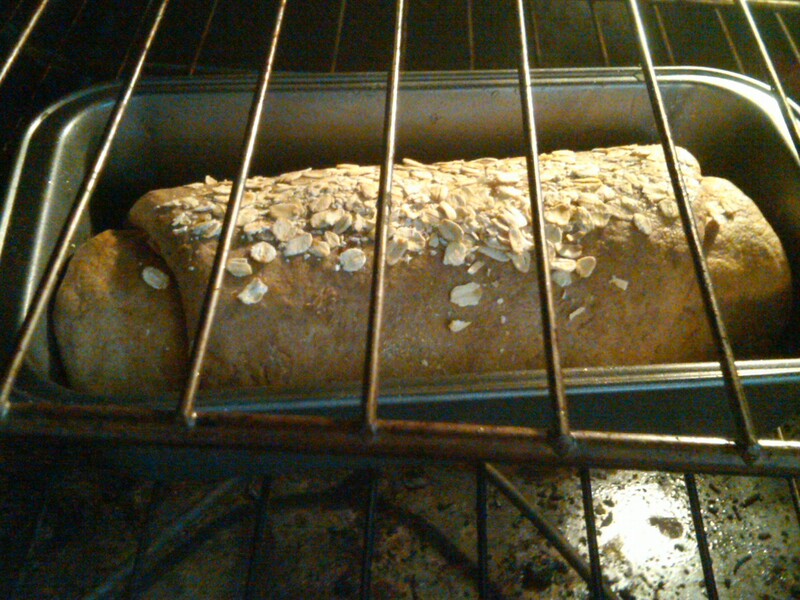 of oats onto the dough. Then roll it tightly and put it into your greased pan. -Cover the pan and let it sit for 10 min. Then preheat your oven to 425 degrees. Sprinkle a little water on your bread and put the remaining 2 tbsp. of oats on top. -Bake for 10 min. then lower the heat to 375 degrees Fahrenheit. Cover the dough with foil and bake for another 30 min. -Let it cool, slice, and enjoy! Phew. That was quite a bit of work for one loaf of bread. But i guarantee your, the taste will all be worth it. So sweet and cinnamony, it will be gone before you know it! But if you somehow manage to keep it for very long, you can always make cinnamon-swirl French toast! What is your favorite use for cinnamon? Sugar, spice, and everything nice= Health Freax Unite!